As promised, I have the details for our October 18-20, 2019 Weekend of Stitches! These are photos of the project. 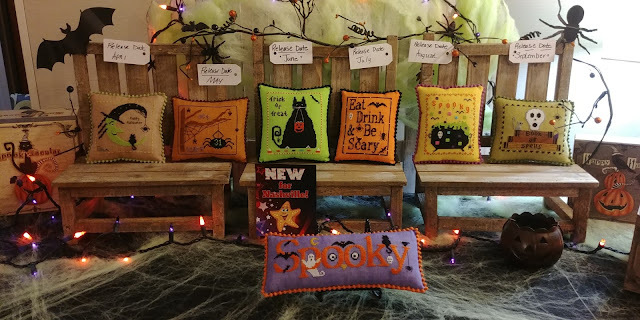 There is more information here: https://www.houseofstitches.com/events.html . At the very bottom is a link to the registration form. 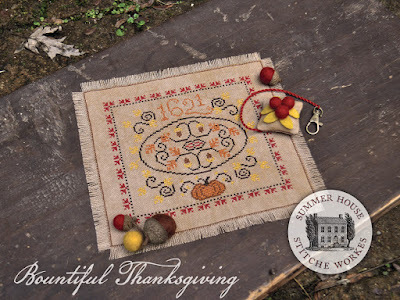 It is going to be a great weekend with a project that is perfectly suited for autumn stitching! I hope you can join us. You can also find the information by clicking the Events button on the home page of our website: www.houseofstitches.com . Another date to put on your calendar is August 3. We will be hosting our Midwest Stash Exchange as a fundraiser for Riley Hospital for Children. Booth space is $20.00 and that goes to Riley. There is no charge to come and shop… but we do not turn down donations to the cause! LOL In the next few days we will have a registration form for the Midwest Stash Exchange on our Events page also. And, last but not least, we have an updated What’s New Page for you at https://www.houseofstitches.com/whatsnew.cfm . If you are a Mill Hill kit lover you will have a very good time looking through the new arrivals. The Laurel Burch Flying Colors Collection has butterflies and dragonflies, Debbie Mumm has the Blooms and Blossoms Series, AND the new Fall Series are here! I need to step up my stitching game. It is a good thing most of you stitch faster than I do! Keep up the good work! I promise to send a more (much more!) informative newsletter soon. In the meantime, there are 32 new items for you to see and consider on our newly updated What’s New page. Take a look at https://www.houseofstitches.com/whatsnew.cfm for the latest arrivals. 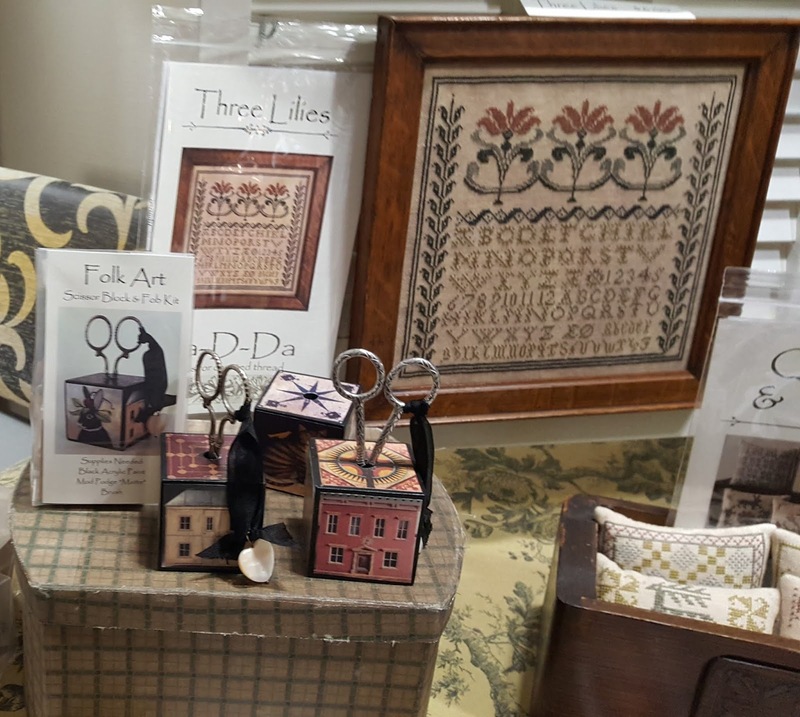 Quite a few of the items are things that are still arriving from the Nashville Needlework Market. They are sure to tempt you; I know because they tempt me! More exciting information is coming soon! Great designs are still arriving! 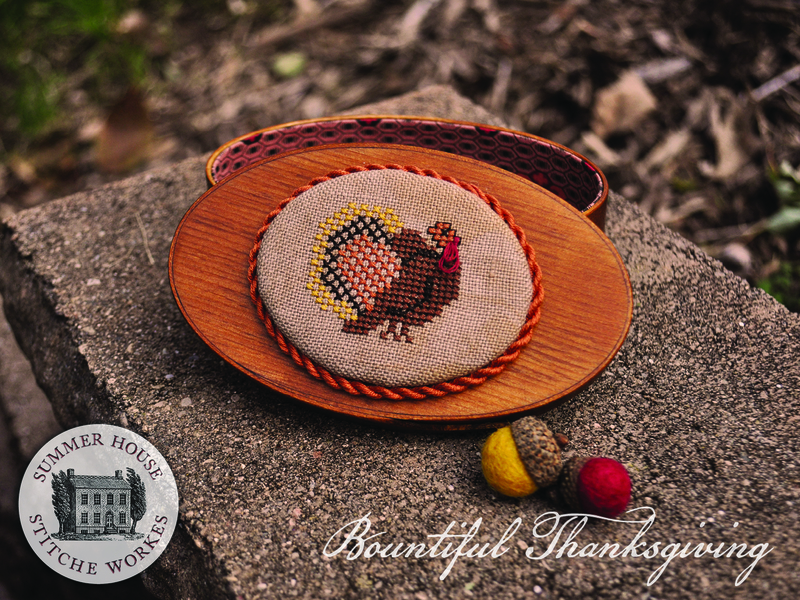 We continue to receive designs from the Nashville Needlework Market. (The designers sold out of some things so they shipped them after they returned home.) To see them, visit our What’s New page at https://www.houseofstitches.com/whatsnew.cfm . Or, you can always click on the What’s New button on the home page of our website. We have everything from bunnies to snowmen and Easter eggs to a three-dimensional Christmas tree! The second installment in the Jack Frost Tree Farm series has arrived as well as the fifth in the Glitter House series and a beautiful black and white rendion of the US Capitol by Ronnie Rowe. Some of you missed this exciting announcement last time so here it is again: Mark your calendar!! 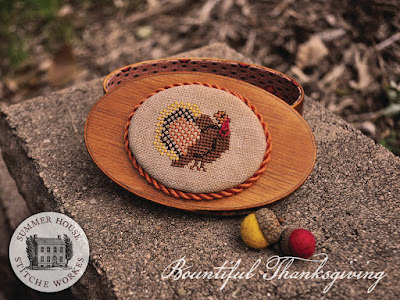 Beth Seal from Summer House Stitche Workes is going to join us for our Weekend of Stitches! The project and cost have yet to be finalized but the dates will be October 19-21, 2019. Here are a couple more pictures from Nashville. I hope all of the new arrivals kick your stitching enthusiasm up a notch! It is a great time to be a stitcher. Do you remember when we only had white and ivory aida to stitch with and Fiddler’s Cloth was an exciting new fabric? We seem to have endless choices now! Let us know which ones you choose. We are back from the Nashville Needlework Market and we have an extravagant number of new things to share with you! Because there are so many, we are not listing them by designer on the What’s New page. Just go to our catalog https://www.houseofstitches.com/search.cfm and type nash19 in the key word box. So far there are 269 new items. More will be arriving since some things had to be ordered. So, get your favorite beverage and a notepad to make a list of your favorites. The designers outdid themselves this year; there are SO many great new charts, kits and accessories! My list of things to stitch is growing by leaps and bounds! Mark your calendar!! 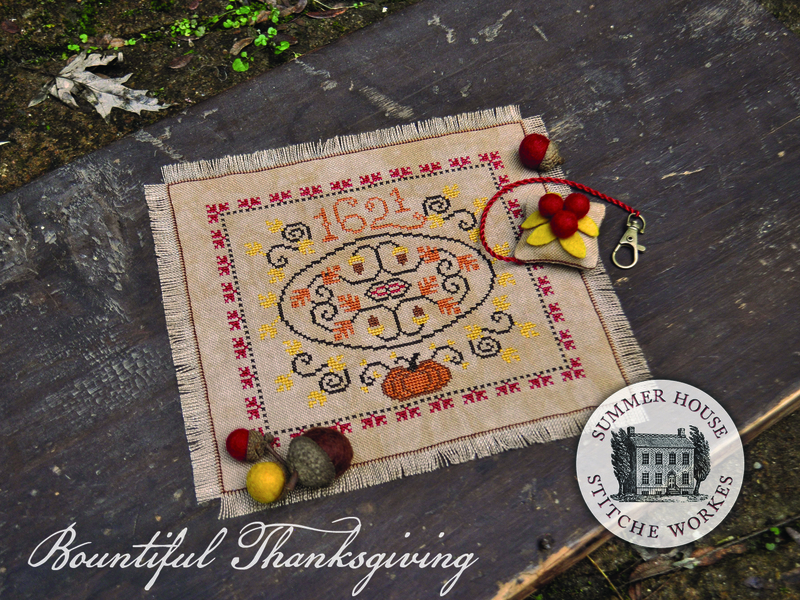 Beth Seal from Summer House Stitche Workes is going to join us for our Weekend of Stitches! The project and cost have yet to be finalized but the dates will be October 19-21, 2019. Thank you for taking the time to see the Nashville Market offerings! We appreciate your continued interest. How to see our Nashville finds! We have an updated What’s New page for you to explore! https://www.houseofstitches.com/whatsnew.cfm Some of the things you see there are designs that will be at the Nashville Needlework Market this weekend. If you have been making a list of must haves from your favorite designers, let us know as soon as you can. We will do our best to get you all of the charts, fabrics, fibers and accessories that you want! On Saturday you can start watching our catalog as we list the new things as fast as we can. Just go to our website, click the catalog button and type nash19 in the key word box. It will be exciting to see all of the latest charts, kits and accessories! Thank you for being a faithful House of Stitches customer! We appreciate your continued support; we wouldn’t exist without it! 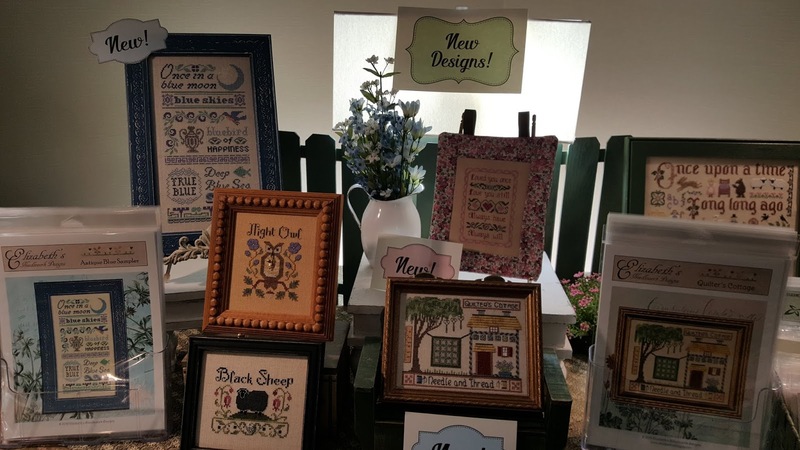 Two weeks until the Nashville Needlework Market!! Our What’s New page has been updated for you at https://www.houseofstitches.com/whatsnew.cfm . 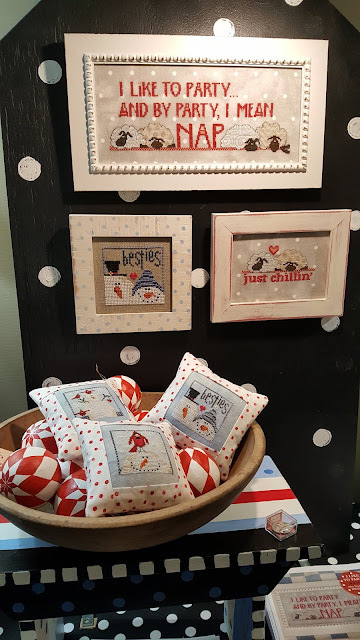 There’s another design in the Loose Feather For the Birds series from Blackbird Designs, four new hardanger charts from Satin Stitches, two more Glitter House charts from Country Cottage Needleworks and a sweet Valentine chart from Waxing Moon that has three little square designs or red fabric. 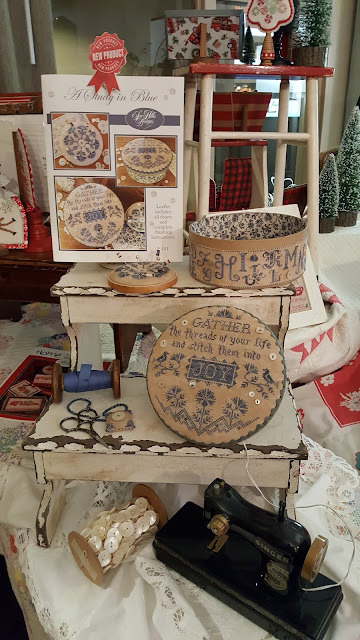 If you are in the Niles, Michigan area on Saturday, stop by St. John’s United Church of Christ (601 Sycamore Street, Niles, MI) for the Sweet Charity Sewing Group’s Cure for Cabin Fever Indoor Shop Hop. 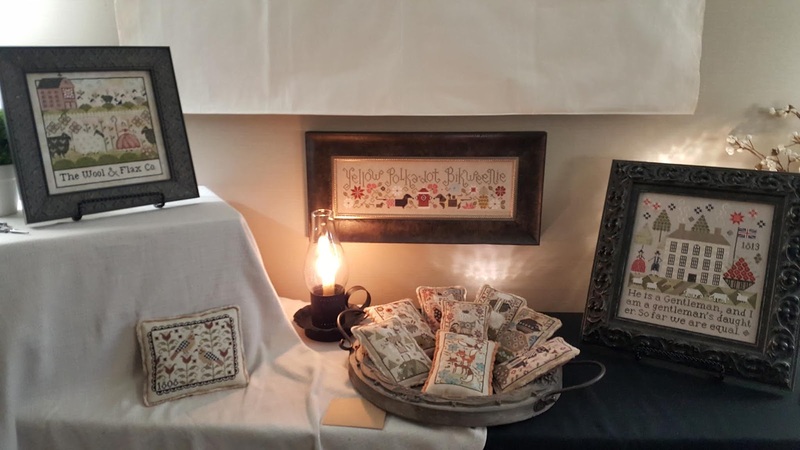 There will be thirteen Needlework vendors exhibiting with things for quilters, beaders and embroiderers. You will receive raffle tickets with your admission of $5.00. I hope you can visit! I have to run! We are on the way to Grandparent’s Day for our grandson. And then I need to pack stock for our booth on Saturday. See you soon: here, there or on the web! Is it cold enough for you? It certainly is for us! We are being told that it has never been this cold since temperature records have been kept. Due to the dangerously low temperatures as well as blowing and drifting snow, House of stitches will be closed on Wednesday and Thursday, January 30 and 31. I apologize for any inconvenience but we must put safety first. While we are waiting out the cold and snow, there is an updated What’s New page for your enjoyment. 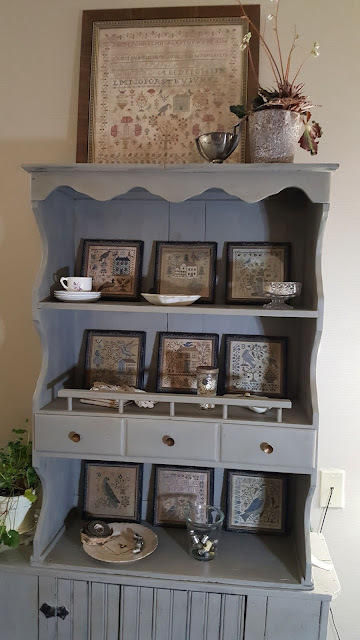 You can see it at https://www.houseofstitches.com/whatsnew.cfm . The best way to survive the winter weather is by planning your next project while you work on your current one(s)! My favorite method to view the new arrivals is to click the Catalog Button on our home page and then type Jan19b in the Keyword box. That way you can see pictures of all the designs without the need to click on each one individually. Which ones are destined for your stash? Even though we are out of the shop, you may still contact us via email: mail@houseofstitches.com. Thank you for your patience and understanding!